Nothing beats the perfect combination of your favorite makeup essentials. Mine? These duo sticks are my go-to lip rouges. 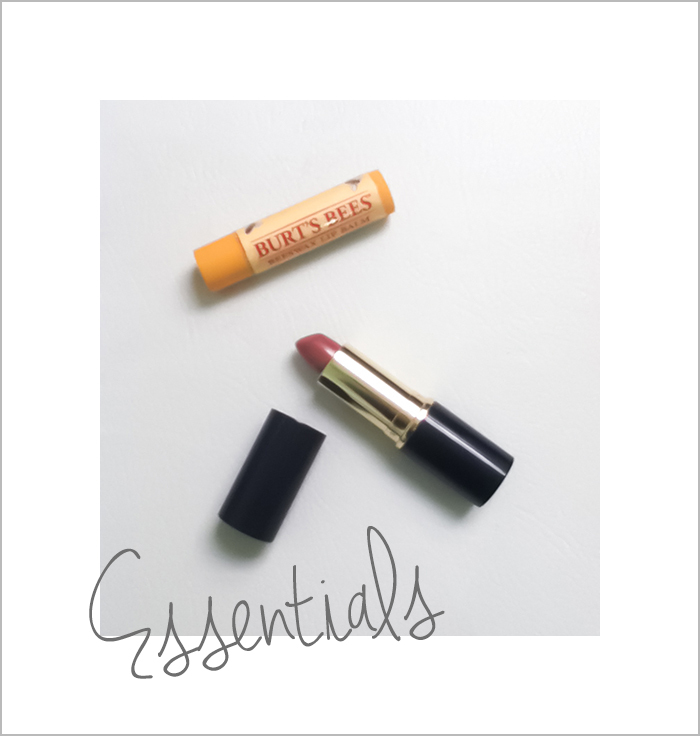 For double cover up, this beeswax lip balm from Burt's Bees is my favorite ever! It's 200% natural; no chemicals, no test on animals, no nothing. The minty essence is so relieving and refreshing on my lips, it feels so great for daily use. I think I'm gonna end up chewing it someday that it tastes like peppermint gum! The Estée Lauder Signature "Hydra Lustre" Lipstick in Copper Glow is one of the most perfect lipsticks when I'm going for darker shade, it really matches my skin tone. And believe me, it smells SO GOOD. So, what's your current makeup essentials?